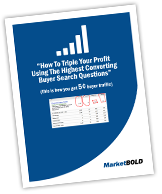 Let me just show you one clever way to find some great keywords. Just for a moment, think about articles. Hundreds of marketers write them…but very few actually do anything beyond submitting them to a single article directory. Which means they either rank…or flop…on their content. That’s great news for us! Now…let’s take this 1 step further. In fact, I’ve found article marketers to be some of the best “low competition keyword researchers”…it’s just unfortunate for them that they do so little with what they have found. Step 2: Type in your topic and make your date range selections. It could be anything from “wedding gifts” to “chicken farming”…just pick a topic phrase around your main keyword. Google is now going to bring back all the articles from EzineArticles.com (one of the biggest and most search friendly article sites) that have at least 2,000 views and up to 199,999 views…and were written in 2010. Step 5: Copy the entire URL of one of the higher searched articles. Step 6: Navigate your browser to SEMRush.com. Step 7: Paste the URL into the keyword query box. Step 8: Notice the keywords that are driving traffic to the article. THESE are the keywords that you can pay close attention to (and the closely related phrase versions). You can often find keywords that have plenty of traffic, with almost no “actual competition”…and in many cases, the ranking article has 0 links pointing to it…so it must rank on nothing more than the content and inner linking within the article directory itself. 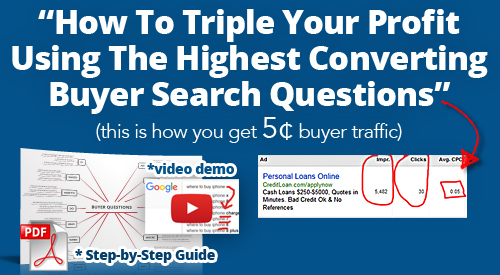 And I’d encourage you to take it for a spin today and see what great keywords you can find to rank very easily in Google…and siphon buyers into your site. Thanks for a very interesting website. web site has helped me greatly. Thanks! Aw, this was an incredibly good post. I’ve recently started a site. The information you offer here has helped me tremendously. Thanks for all of your time and work.